In this area, many facilities are under contracts with specific caterers. This means that when a reception facility is chosen, the facility may dictate who will provide the food. If a facility is chosen that lets the couple chose their own caterer; there are a delectable variety of caterers in this area to choose from. 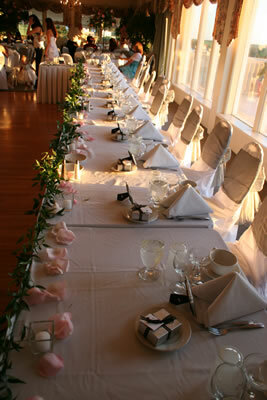 Caterers can be found by asking friends and relatives for their suggestions. Word of "mouth" definitely has meaning here. When calling around for prices and menus a couple should also ask about sampling before making a final decision. Some caterers specialize in the business, while others can be part of a restaurant or food market who will go off premise to cater. With such a variety to choose from there is certainly something for everyone's taste!